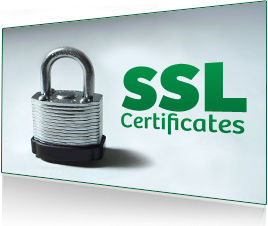 When it comes to acquiring SSL certificates for a website, majority of internet business owners find themselves in a tight spot or rather in a state of quandary. However, it’s not them who should be blamed. Internet is running rampant with several websites that are full of dubious claims that have led so many questions to circle the minds of prospective customers of an SSL certificate. The following section here is solely dedicated towards debunking several myths that cloud the decision of people whenever it comes to purchasing a SSLcertificate for an e-commerce website. Let’s have a look. The most common misconception people have about an SSL document is that it is very expensive. On the contrary, the price of this security parameter tends to be very reasonable and the amount providers charge is nothing in comparison with the security it provides to both customers and business owners. In a bid to make internet more safe for visitors, Google recently rolled out an update pertinent to the SSL parameter of a website. It said that the search engine of google will prefer the website that has a HTTPS marking over the HTTP one. This dictates into the fact that an SSL protected website will rank on a higher scale on google search engine result page that accounts for more visibility in the online domain. Although, at the start, SSL document may pose several complications in terms of installation and operation, it is not at all difficult to either migrate it or manage. If you find yourself in the need of changing the SSL certificate to a fresh one, contact the certificatory authority in this pretext and you will be required to fill up an online form to apply for a new certificate. The process is fairly simple and doesn’t involve many complications. SSL certificates are usually used to secure the information that is stored in the database of the e-commerce website. In simple terms it protects the pipeline in which the data of the customer flows. It doesn’t stands secure at the either end of the pipeline or at both customer’s or website’s end. Therefore, SSL certificates don’t prevent the website from getting hacked. It merely protects the information that is stored in the database of the e-commerce website. It is hoped that after reading the above section, you are quite clear on several doubts you had up till now on SSL certificates. If, however, you still have some doubts in this regard, you may place your inputs in the comment section below.